The five points of TULIP Calvinism developed as a response to the five Articles of Remonstrance put forward by the followers of Jacobus Arminius. 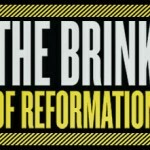 The five points of Calvinism form an accrostic (TULIP): Total Depravity, Unconditional Election, Limited Atonement, Irresistible Grace, and Perseverance of the Saints. This blog post seeks to summarize these five points. Here is a brief summary of the history of John Calvin. It covers his two periods of ministry in Geneva, some notes about his approach to pastoral ministry and theological publications, and some comments about the critical event in his life, the burning of Michael Servetus. I used to be a five point Calvinist, but as I studied Calvinism more and, the five points dropped away one by one, so that now, I am not a Calvinist at all. Over the past fifteen years, I have continued to read both Calvinistic and non-Calvinistic authors, and study biblical texts from the various perspectives. With every passing year, I am more and more convinced that Calvinism reads Scripture incorrectly, distorts the Gospel of Jesus Christ, and has ultimately abandoned the roots of the Reformation. This is an update about the books I am writing and some of what is going in my life right now, which explains why the posts have been infrequent this week. How about you? what is going on in your life?